Capture Mommy's heart with this adorable baby tile! Also comes in pink for girls. 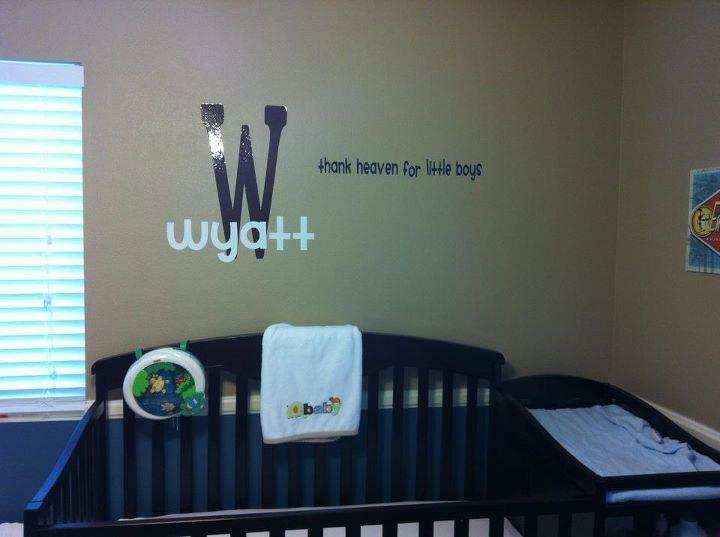 We can even customize it to be signed off with baby's name. This adorable gift is only $15 for a 6 X 8 white tile, or upgrade to a larger size and/or frame. Adorn any baby room with this gorgeous monogram including baby's name and quote. Quote and colors can be altered for girls. 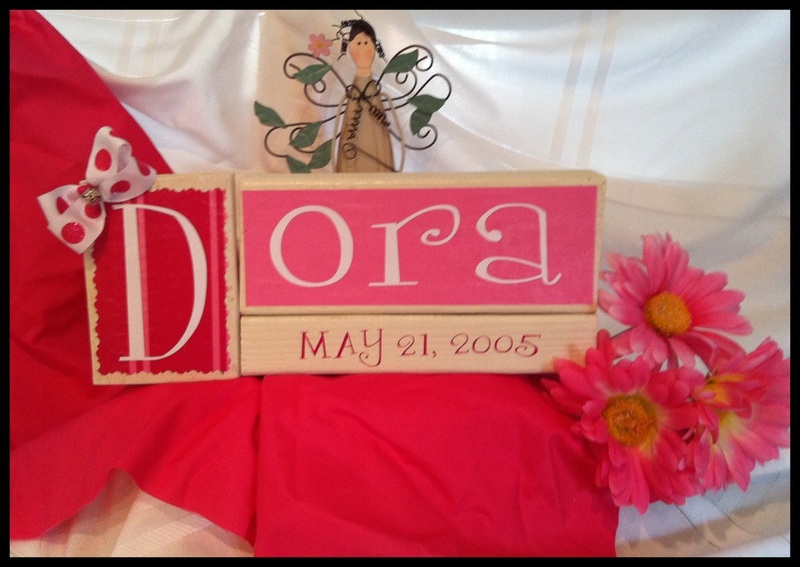 Monogram, name, and quote measure approximately 22 in. each. 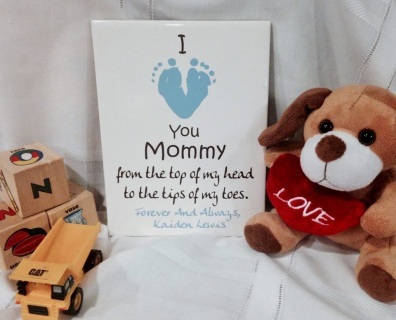 This gift is sure to melt the hearts of the new parents! 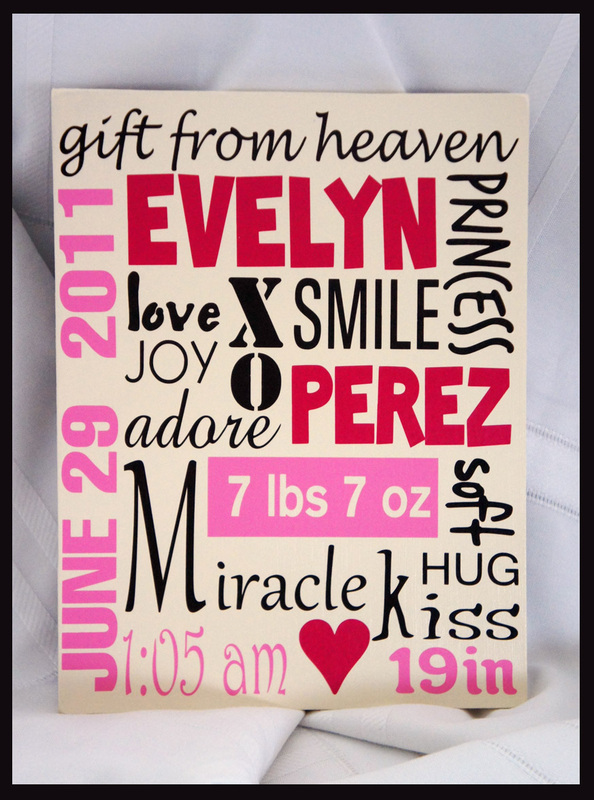 This custom gift includes the baby's first and middle name, birth date, birth weight, birth length, and the time the baby was born. Don't miss out on the opportunity to leave a lasting impression! Comes complete in a 11 X 14 inch frame. Welcome the newest addition to the family with this adorable baby announcement keepsake. 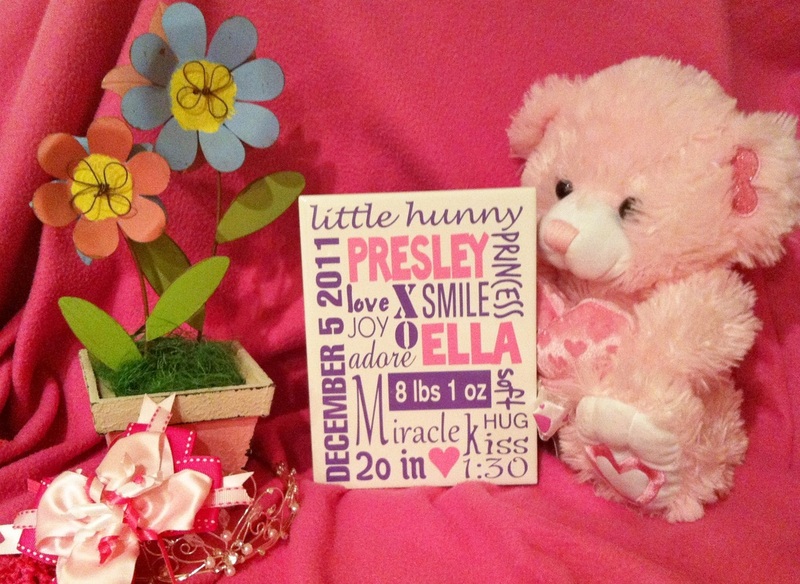 You simply provide us with the name, birth date, weight, length, time of delivery, and any other important words and characteristics of baby. We will do the rest. This tile measures 6 in. X 8 in. and is available in many colors. See product page for a list of colors. 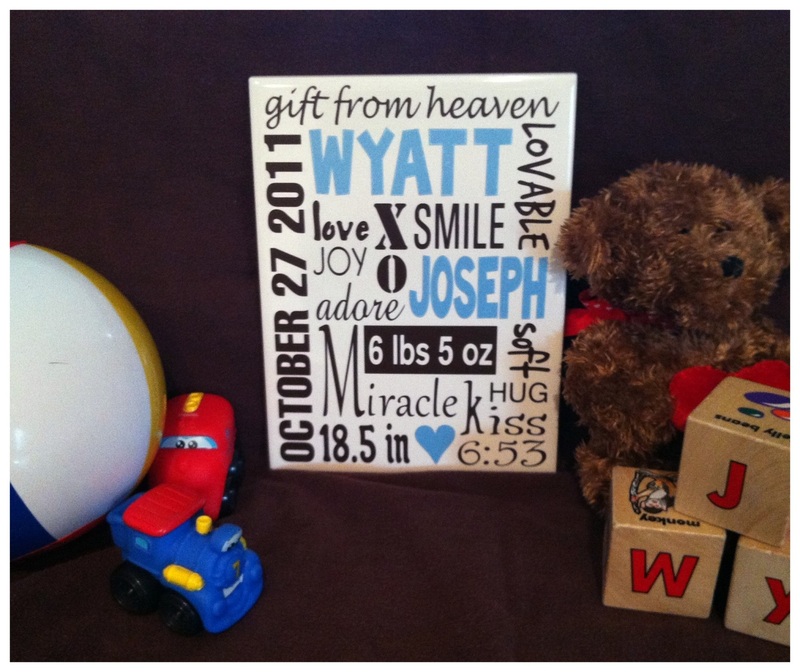 Welcome the newest addition to the family with this adorable baby announcement keepsake. 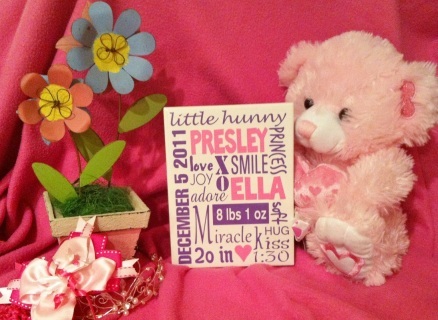 You simply provide us with the name, birth date, weight, length, time of delivery, and any other important words and characteristics of baby. We will do the rest. This wood plaque measures 8 in. X 10 in. and is available in many colors. See product page for a list of colors. 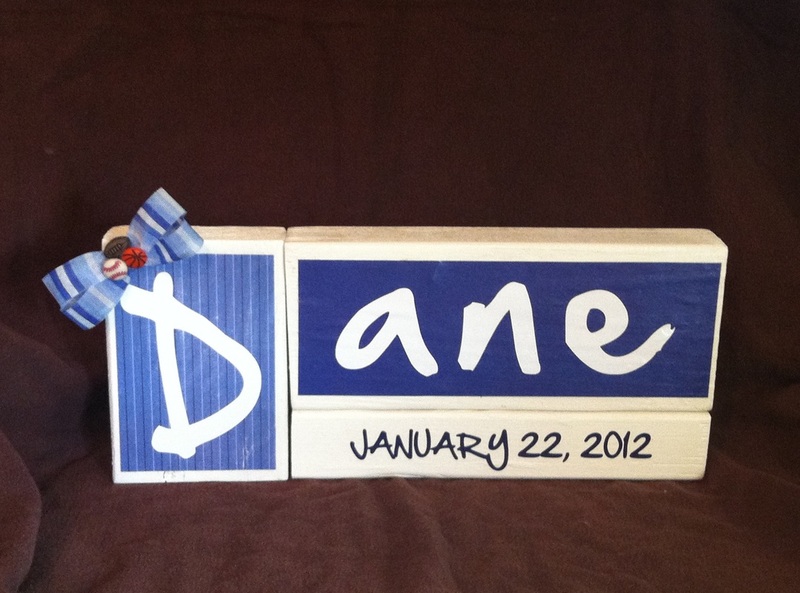 Personalized wood blocks are a perfect gift for a baby shower, new arrival, or as a birthday gift for any age. Simply provide us with the name and birth date. The set of 3 blocks measures approximately 5 in. X 12 in. Winnie The Pooh says it best! 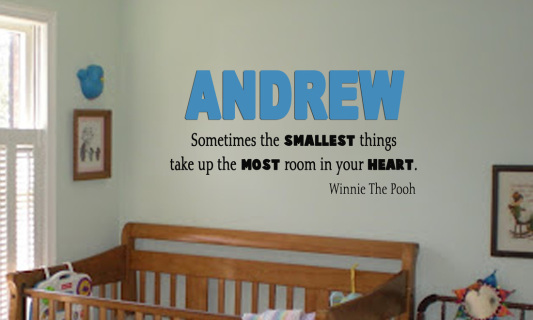 By adding your baby's name, the quote becomes personalized to touch your heart even more. 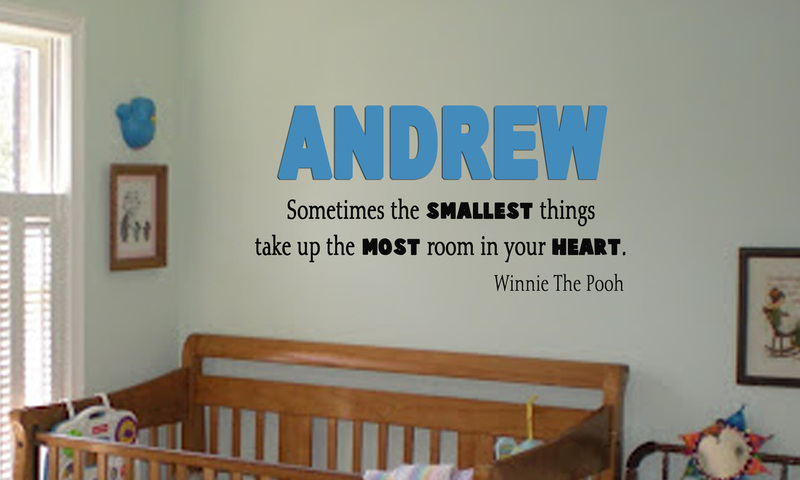 Quote can also be customized with many different colors to match your decor. Finished quote measures approximately 24" X 24".